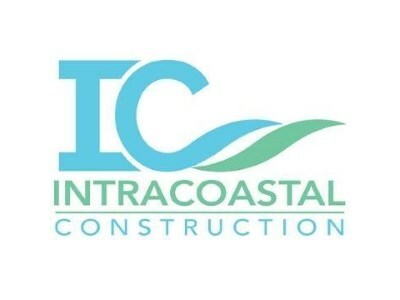 Intracoastal Construction offers custom residential construction throughout Flagler County. Robbie Richmond has formed Intracoastal Construction after serving over 400 clients in Flagler County during the past eighteen years. Robbie holds a residential license for homes up to three levels and a commercial general contractor’s license for custom multi level designs. Robbie is also been certified as a Florida Green Builder. His peers have elected him twice to be the President of the Flagler County Builder’s Association. A majority of Robbie’s clients live out of state and they have put their total trust in his ability to meticulously design and build their home. Several home builders and commercial contractors outside the state of Florida have used Robbie’s expertise to build their own Flagler County homes. Listening is a skill learned and it serves as the base for a trustworthy relationship. The design and budget needs of the client evolves into a workable design that reflects the needs and wishes of our clients. The final design is integrated with the interior design consultant’s support of the buyer and the result is a home that reflects the characteristics that define the buyer.